I decided to paint my nails today with the nail polish I purchased a few weeks ago and though I’d share! 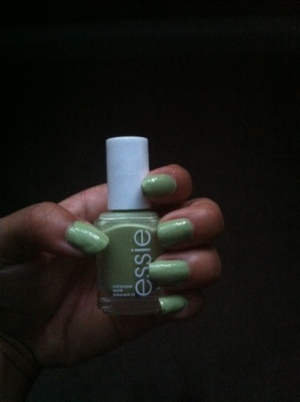 This is Essie’s “Navigate Her” from the Navigate Her Spring 2012 Collection. 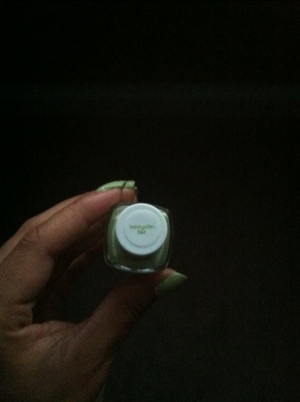 It’s a pretty light green color but with a twist! 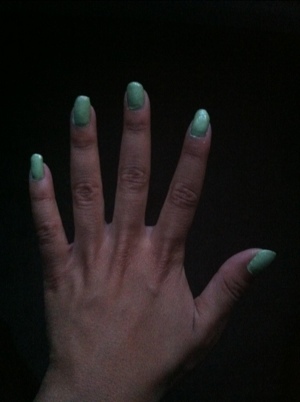 Instead of a pastel green, it reminds me more of a pistachio green color. Two coats was enough for me to get the color to be opaque. What do you think of Navigate Her (the polish and collection)? Do you own this polish or want to buy it? What’s currently on your nails? Tell me in the comments! That color is very pretty!